The Saturday before last was the last day of basketball season! And what a day! We had nine games with the potential of eleven! Emma's game was where the excitement was! Emma began her first game at 8 am in Marsing, an hour a way out in no where. Her first game was a back and forth, intense game ending in overtime with a win. The next game was 15 minutes later against their rivals, they had lost to this team the week before by one point. This game was intense too. Back and forth with the crowd going crazy! I was at Claire and Alek's game so I missed it. Homedale was ahead most of the game. I received a text when there was 58 seconds left and we were down by 3. 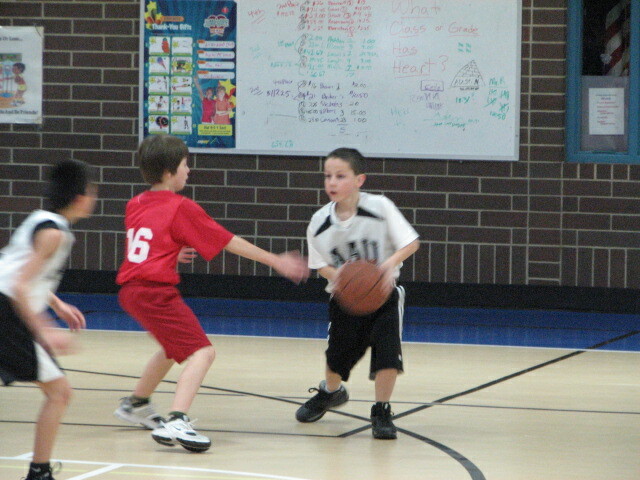 I told Alek, Emma's team had lost when a few minutes later Rick called and said that Emma shot a 3 and tied the game! She then had an amazing pass to her teammate Brooke who was fouled. Brooke shot the first and missed, shot the second and won the game by one! So exciting just because it was Homedale who is always their challenge! Emma's team played again after a lunch break against a team who had not even played any games yet! This was back and forth again and they lost by one! This meant they again were to play against Homedale again! A bunch of us jumped in the car and drove an hour away to see the last few minutes of the game! Homedale won! Shoot...That then put us out of the tournament...had Emma's team won they would have played 2 more games! Crazy! A lot of hard, intense games for one day! So they didn't place but still because of the excitement of all the games they felt good about how it had ended. Mr. Alek had 3 games. Single elimination. His team won the tournament with some exciting games too, most were games where they came from behind. Miss Claire had 2 games and was excited about her season. She improved a lot this year and really came to love basketball. She played point guard and I think enjoyed that position a lot! So last Saturday we just didn't know what to do with ourselves, no games! Rick decided to take Alek and Kade camping Friday night. They called me Saturday morning asking if I would let them in the locked house. They got snowed on and it was still snowing! A little cold! But the boys still had a great time and came home smelling like campfire. holy COW you're kidding! how crazy that all is. and how the heck did you do all of that to your blog??! you did some fun things that i have nooo idea to do! cute.